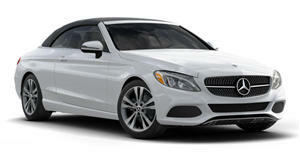 The German automaker has issued recalls for the S-Class, C-Class, and GLC. Mercedes-Benz may have cultivated a reputation for making some of the safest passenger cars on the road, but they're still subject to safety recalls from time to time – particularly with all those advanced safety systems installed in its vehicles. Case in point: this latest trio of recalls issued by the German automaker, the largest of which concerns the flagship S-Class. Vehicles equipped with the Active Steering Assist system include a Hands-Off Detection feature that's supposed to return control to the driver if his or her hands have been off the wheel for too long. That feature, it's been determined, may not be functioning properly, so Mercedes is recalling several thousand vehicles to update the steering-control software. The automaker initially issued the recall for 5,754 vehicles, all from the 2018 model year. But it's since issued another, broadening the range to 6,200, including 2019 models as well. 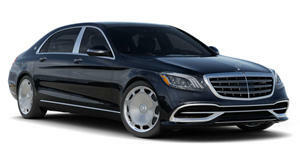 The recall encompasses sedans, coupes, and convertibles, in S450, S560, and S63 specs, including Maybach and AMG models. That's the largest of the three. The other two affect some AMG GLC63 crossovers, and a handful of C-Class sedans, coupes, and cabrios – all 2019 models. 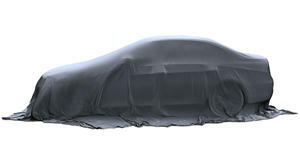 In 779 examples of the the Nurburgring-conquering performance crossover (including both standard and "coupe” body-styles), the front passenger airbag might not deploy properly in the event of a crash. The C-Class recall addresses a glitch that may prevent the parking brake from disengaging while the electronic stability program is on. Since that could prompt drivers to shut off the ESP, Mercedes is recalling 675 examples of the C300 and AMG C43 in all three body-styles available in the United States. As with the S-Class recall, these last two will necessitate simply reflashing the relevant software.